Selling only the best products and providing the best service is why Debnar’s Pools and Spas is the best choice for in ground and above ground pools and spas. For over 30 years, we have been servicing and installing pools and spas in Western Pennsylvania. You can relax and enjoy your backyard entertainment, knowing the trusted professionals and Debnar’s are your pool and spa maintenance team. There is an unfortunate reality with your vinyl lined swimming pool. The liner will not last forever. Debnar’s Pools and Spas are experts in inground and above ground vinyl liner pools. We offer a free assessment of your current liner and offer many choices for repair and replacement. We measure, order to fit and our trained professionals install to perfection. 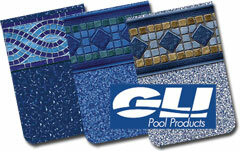 We also know that you want a product that will last, which is why we choose GLI Pool Products to meet your pools vinyl liner needs. 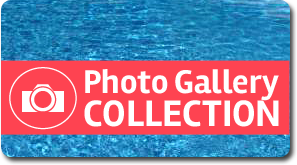 Manufactured in Youngstown, Ohio, GLI Products is a premier manufacturer of vinyl in ground pool liners and above ground swimming pool liners with a wide selection of liner patterns to choose from, custom made for a perfect fit. They are backed with a manufacturers warranty and have been tested to withstand years of use. Call one of our stores today to discuss with one of our trained professionals and discuss your pools vinyl liner replacement today. 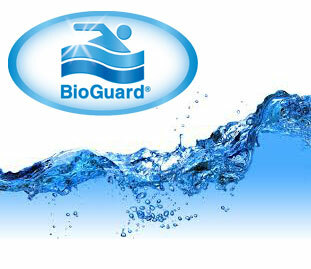 If you are having trouble balancing your pool water, stop into our Blairsville or Indiana location with a water sample and we will use our computerized system to test your water and provide the solution to create crystal clear water experience for you. Take the worry out of opening you pool, and call Debnar’s Pools and Spas. From removing the cover, cleaning and balancing the chemicals, we will have the pool ready for use with no headache for you. Remove cover – including cleaning debris off and folding cover for storage. If applicable, drain and clean water bags. Install governing valve, directional, pump basket, plugs, pressure gauge(s) & skimmer basket. Reassemble the filter and filter plumbing. When the season has come to an end, Debnar’s Pools and Spas is here to take care of the final task. We offer expert pool closing service that will properly close your pool and equipment so that when the season comes back you will enjoy a hassle free opening in the spring. Install gizzmo to skimmer to prevent freezing. Call our store for pricing and to make an appointment.